Annamay is a singer-songwriter and engineer based in Stockholm, Sweden. Her pop-rock music infuses hints of soulful folk and country, along with a poetic lyricism. 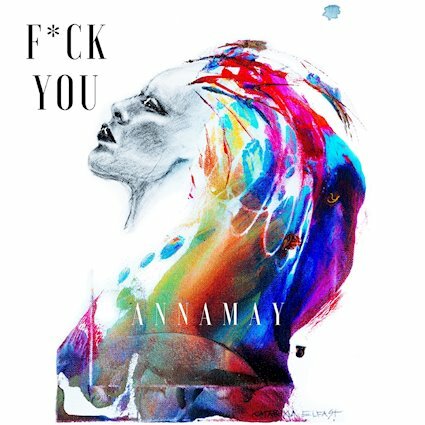 A statement of her blooming creativity, Annamay just released her debut album “F*CK YOU”. She worked with songwriting legend and poet Tom Kimmel on one of the songs from the album. Annamay describes this debut album as a compilation of life's challenges and experiences. With influences ranging from Tom Petty to Pink or Amy MacDonald, you can quickly gather from the first few notes that Annamay's eclectic and quirky style has a wide variety of appeal to an array of listeners. "My biggest music achievement is my first 3 singles, my debut album that's just out now, and managing making them and at the same time working as an engineer on an expert level in infrastructure and during this time bringing my lovely child to this earth. I'm proud of being a driven woman, in a man's world, with all that comes with it. Not saying it's been easy, but I'm never given up, nor should you, don't matter where you're from or who you are. We are all the same but unique and it's time to really cherish one another." Stream Annamay’s new album “F*ck YOU” right now below and connect with her on social media and website.